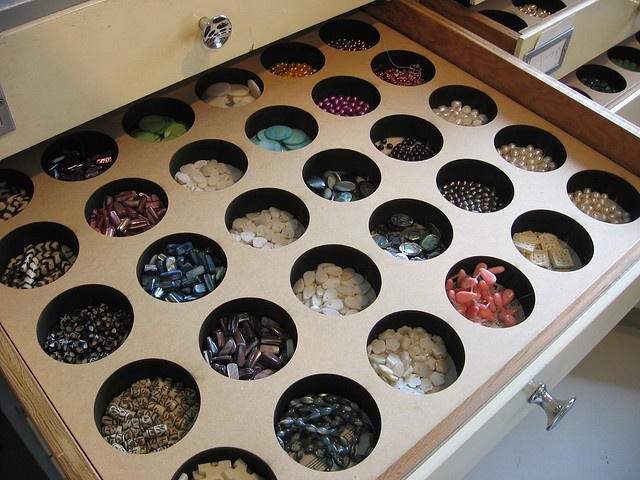 For crafters who like to create jewelry and other beaded crafts, storing your beads may be quite an ordeal. 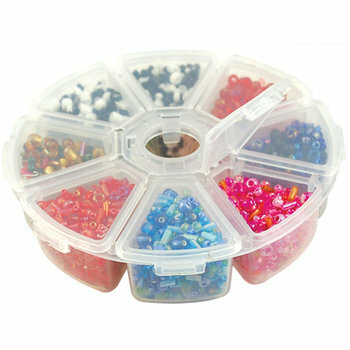 But if you know how to organize your beads crafting will be easy and will make your crafting time a breeze. 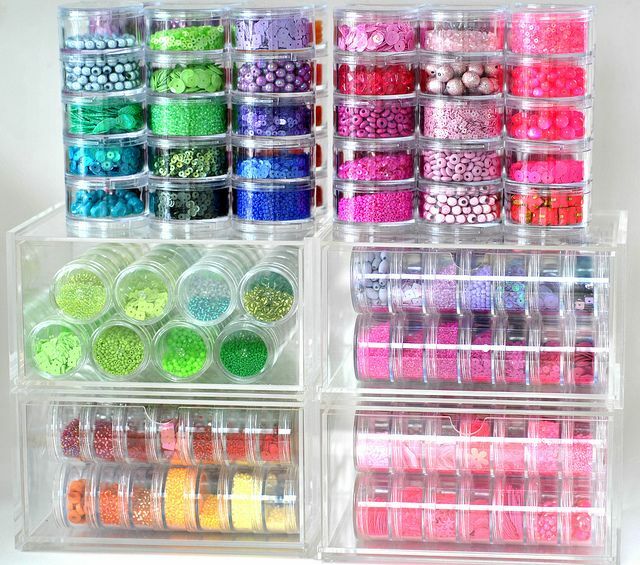 Use baby food jars to store beads. 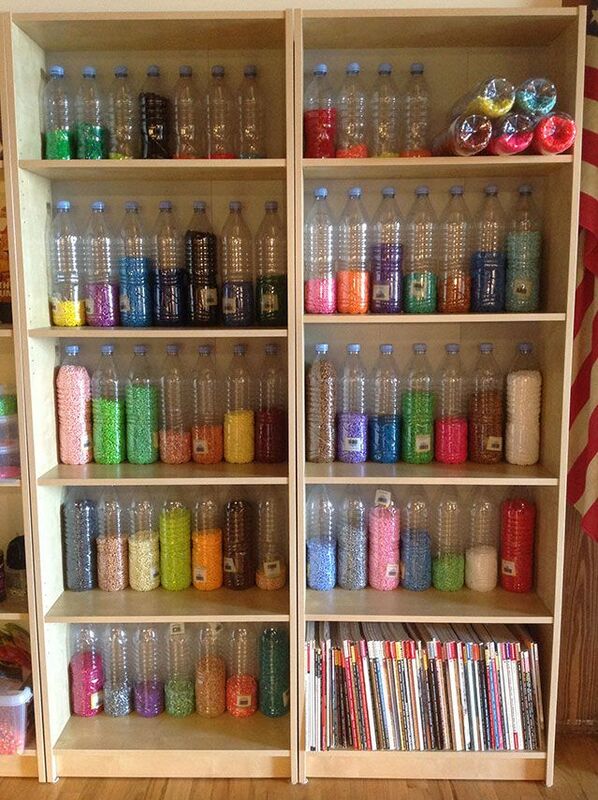 Use Evian bottles to store beads. Use Mason Jars and attach them to a shelf. 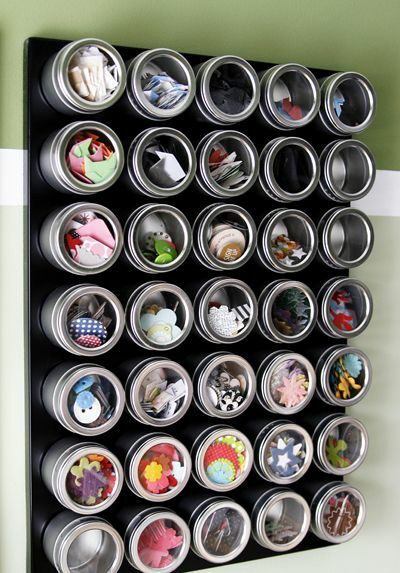 Use spice jars and attach them to a magnetic board. Use clear mini storage cups. 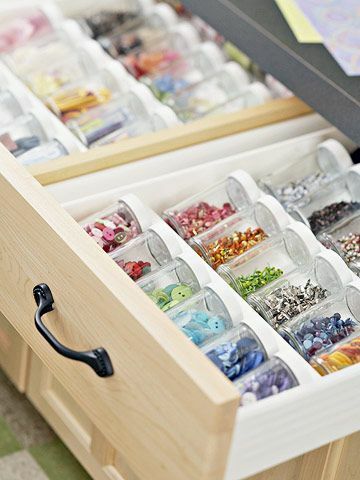 Use clear storage tubes and arrange them inside a drawer. 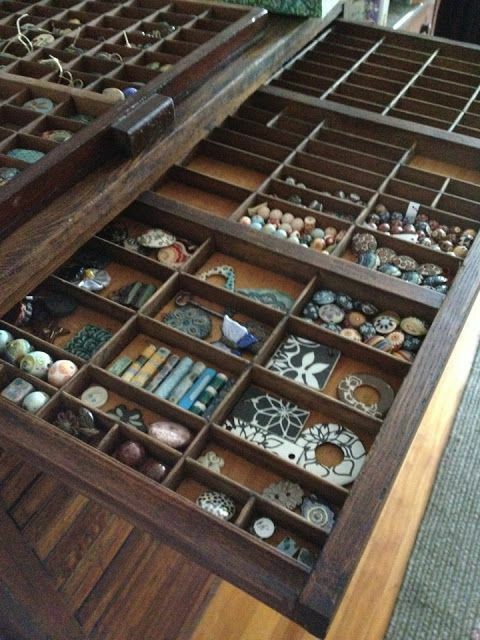 Create a custom-made bead drawer organizer. Use a drawer with custom wooden divisions. 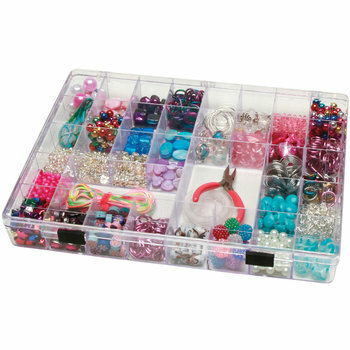 Use single storage organizers if you only have a small number of beads. 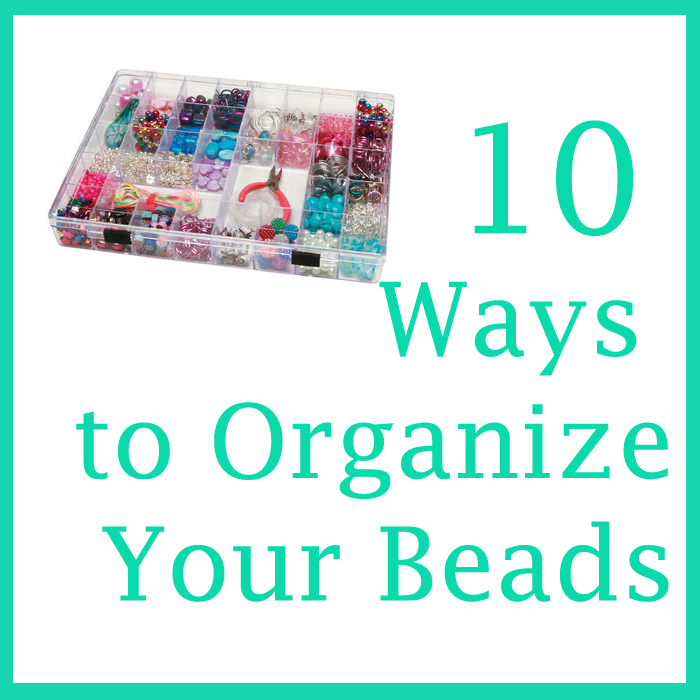 Use multi-bead organizers if you are keeping a lot of beads.